Stop trailer thieves dead in their tracks! 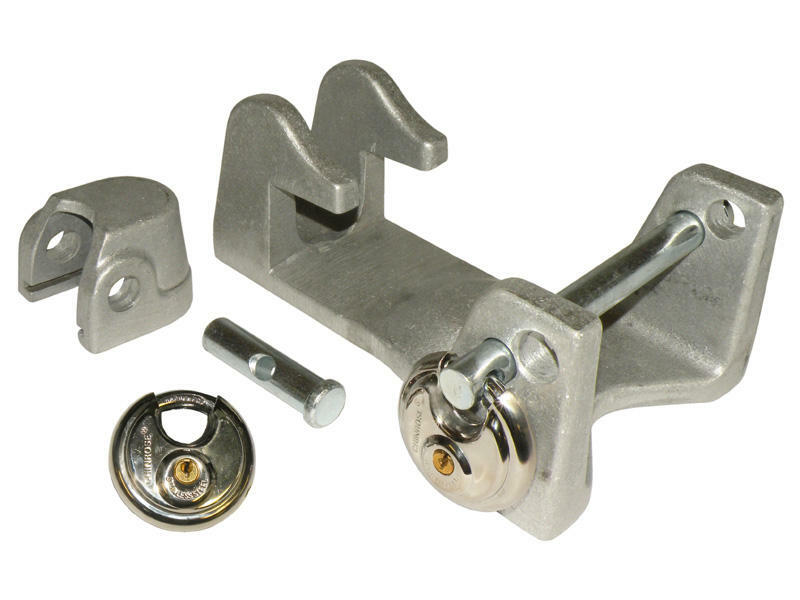 Blaylock TL-53 gooseneck coupler lock comes with a 3/4" steel locking pin and a heavy-duty aircraft aluminum body. Two keyed alike padlocks are included also. To use, simply install the narrow end (looks like a goose's neck) over the coupler bracket near the handle. Bring the wide opening of the TL-50 into position over the wide part of the coupler. Insert the pin into the hole that offers the tighter connection, then install your padlock. Body is manufactured in U.S., locks are manufactured offshore.